In parts of Jalisco and Zacatecas, the holiday in honor of Santiago el Apostól (St. James the Apostle) is held every 25th of July. Celebrants carry spears and dress in long pants, leather chaps, and boots, with demonic masks made of wood (Zacatecas) or molded leather (Jalisco) covered with a montera (headdress) of goat hair, horse hair, or plant fiber. The festival commemorates a battle between the indigenous warriors of the area and conquistadors. 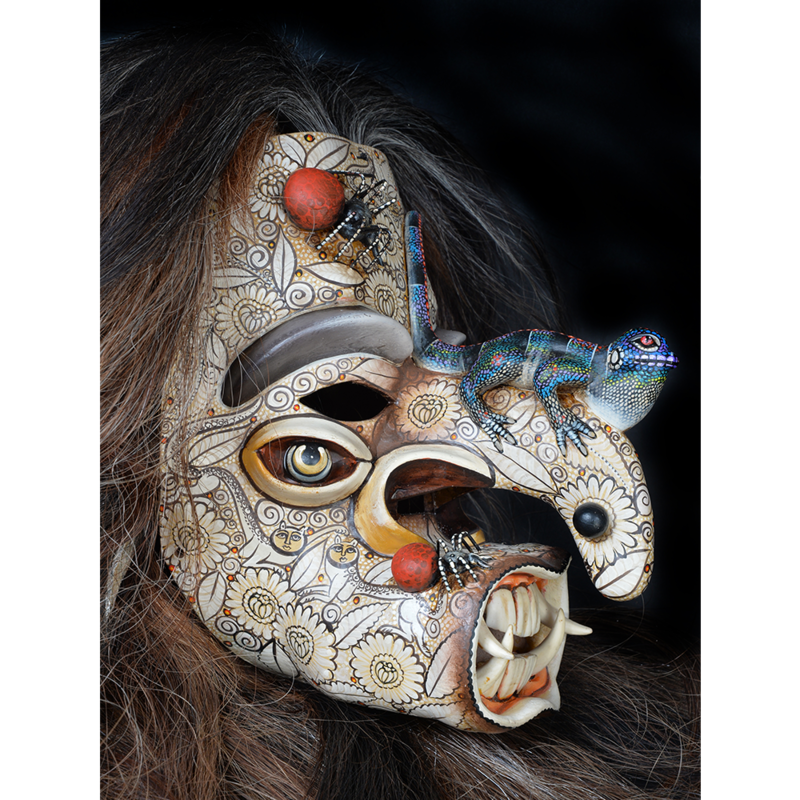 The appearance of the tastoanes, who represent indigenous warriors, conveys their ferocity through sharp teeth, large noses, and snakes, lizards, scorpions and spiders for decorations. 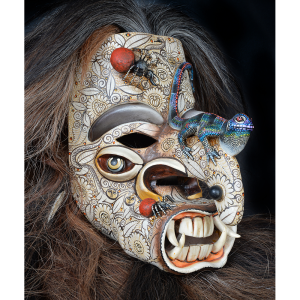 This mask has images of the mythical creatures nahual and nahuala, half jaguar and half human, who symbolize the ferocity of the Tonaltecs. In some cases, the masks are dotted to convey the transmission of diseases such as smallpox and syphilis from the Spaniards to the indigenous peoples. 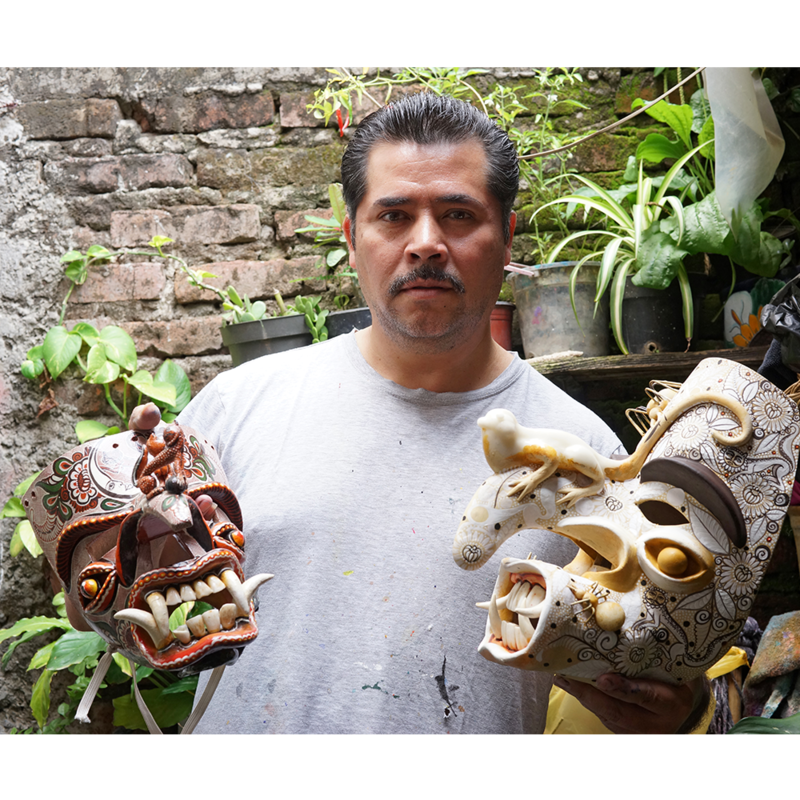 During the celebration, tastoanes and either three kings wearing ceramic masks or three Aztec priestesses (one representing the Tonaltec queen Tzapotzintli, also known as Tzuapili oor Cihualpilli) carry an image of St. James along a parade route and dance to music carrying swords or whips, after which they make defiant speeches and engage in a mock battle (jugada) with a participant carrying a whip who represents St. James. 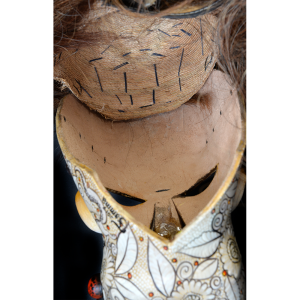 At the end of the battle, all the tastoanes die and St. James is victorious. In the past, all tastoanes were male, but recently women have begun to participate as well. 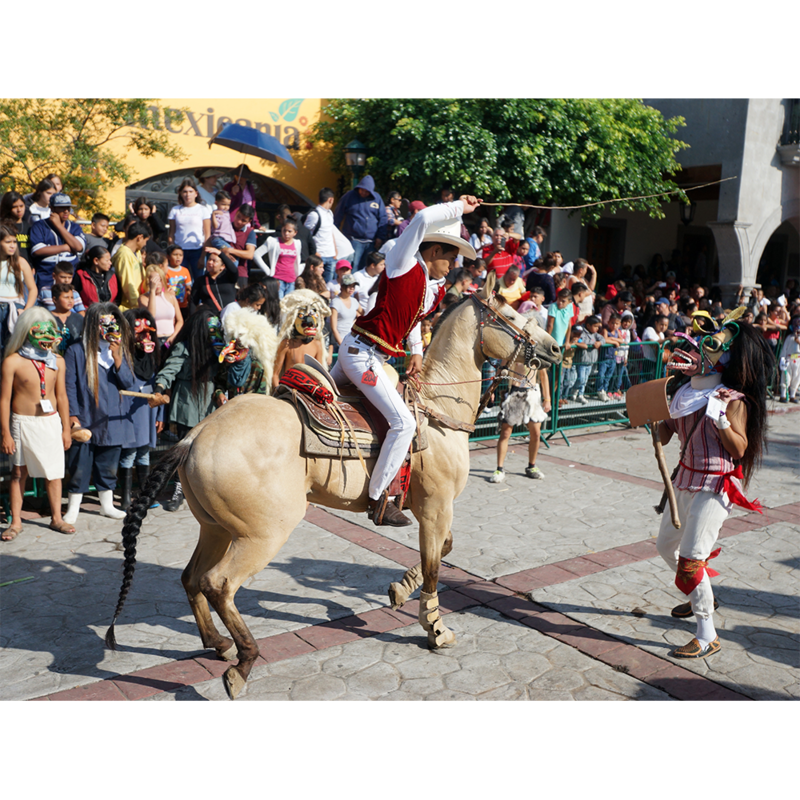 In some towns, an organization such as a Cofradía de Santo Santiago (Fraternity of St. James) organizes the event. 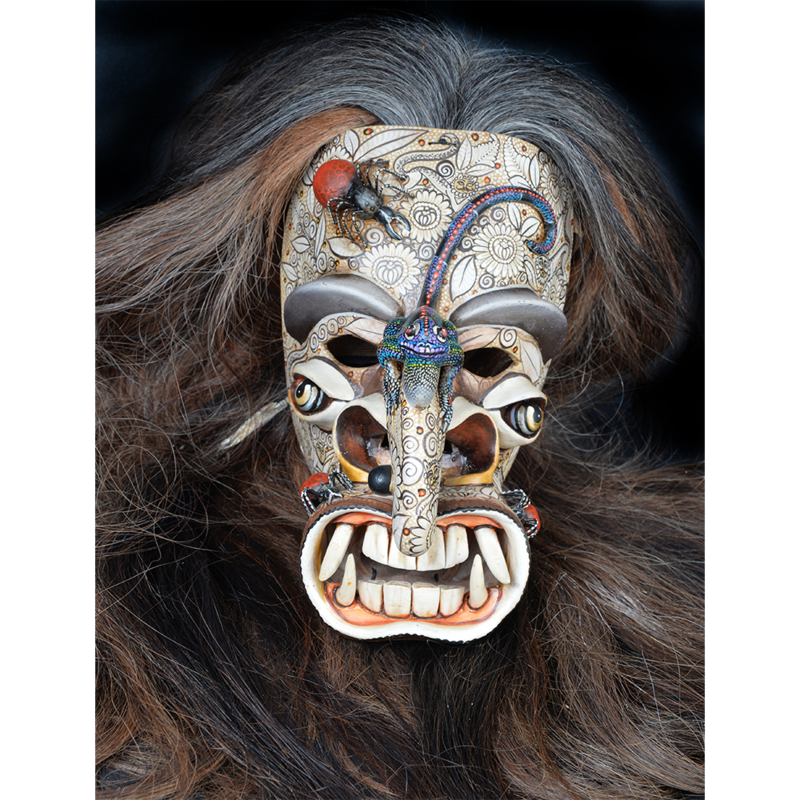 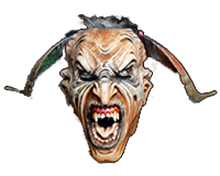 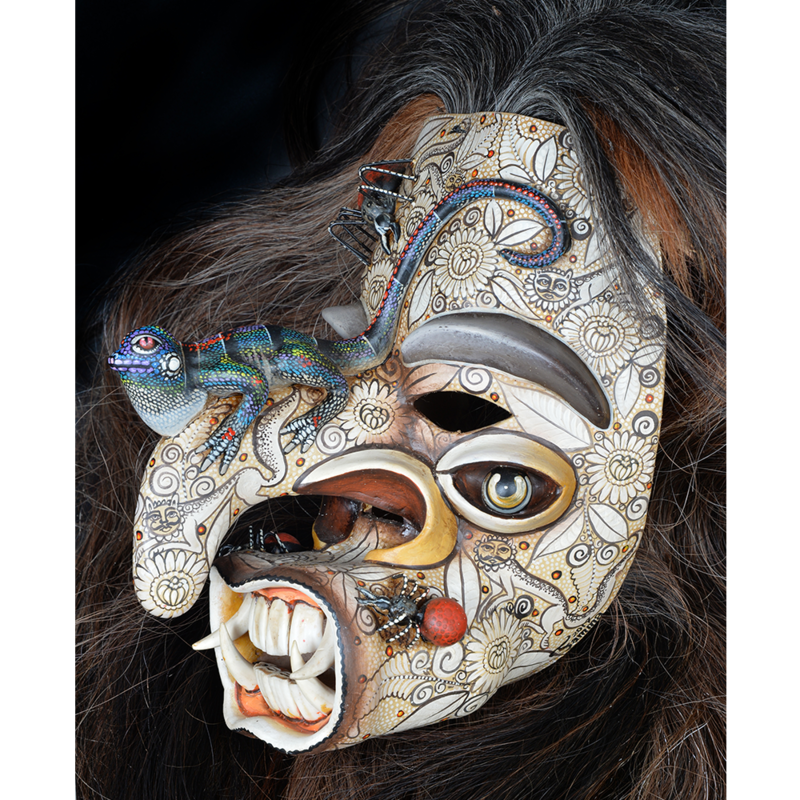 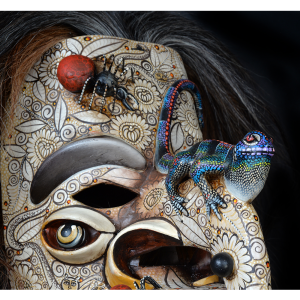 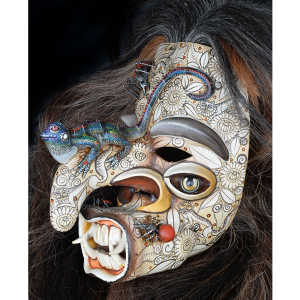 This specific mask was made by the award-winning craftsman Ubaldo Macías of Tonalá.